Sacred Vibrational Plant Medicine is a practice that melds together the ancient knowledge of Chinese Medicine’s meridian systems, the concepts of Qi (life force, energy), and Shen (spirit), with our intuitive knowing of plant medicine. 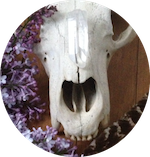 Tapping into the ancient healing of our plant and stone ancestors, our own human ancestors, and their relationship to plants and the body. This is an intuitive practice in which the spirit of the plants are called upon to assist in energetic healing. Plants embody the magic of all the elements, earth, air, fire, and water. They are strong healers. Plant and flower essences capture the vibrational imprint of a particular plant within water, infusing the remedy with liquid light and the spirit of the plant. Please email us at dreamersanddiviners@gmail.com to schedule a session! Plant Medicine is the art and practice of using plants to help the body achieve a state of health and wellbeing. Plant Medicine nurtures your body's own power to heal itself. Plant based healing is one of the oldest forms of medicine, and has been used for thousands of years by all cultures and traditions as a part of healing and ritual. Teas, decoctions, infusions, tinctures, baths, salves, and flower essences are all used in this healing modality. In this consultation we will engage in an intensive intake, discussing your health concerns and exploring your health history. Your constitution will be assessed utilizing traditional tongue and pulse readings, and together, we will craft a workable wellness plan. You will receive diet and lifestyle recommendations and an herbal protocol to follow. This may include, tinctures, teas, infusions, and salves. Cost of herbal remedies is not included. Acupuncture is a safe and gentle way to bring the body back to a sate of balance. Very fine, single use, stainless steel needles are inserted into the body at various points along energy pathways called meridians. The stimulation of these points regulates the smooth flow of blood and energy throughout the body, creating an environment in which the body can achieve a state of balance and begin the journey of healing itself. Acupuncture has been recognized by the World Health Organization (WHO) and the National Institute of Health (NIH) as a safe and effective healing modality.